An over-the-range microwave usually takes the place of a range hood. It is placed directly above your range or cooktop. You get the best of both worlds with these microwave ovens because they have the smoke-eliminating functions of a range hood but also delivers the features of a traditional oven. If you want your kitchen to have a streamlined look, you should consider getting this appliance, so you don’t have to spend money and allot a space for two different appliances. There is no shortage of over-the-range microwave ovens out there so choosing one might feel a bit daunting. But don’t worry because this guide will help you determine which of these appliances would fit in your kitchen just right. 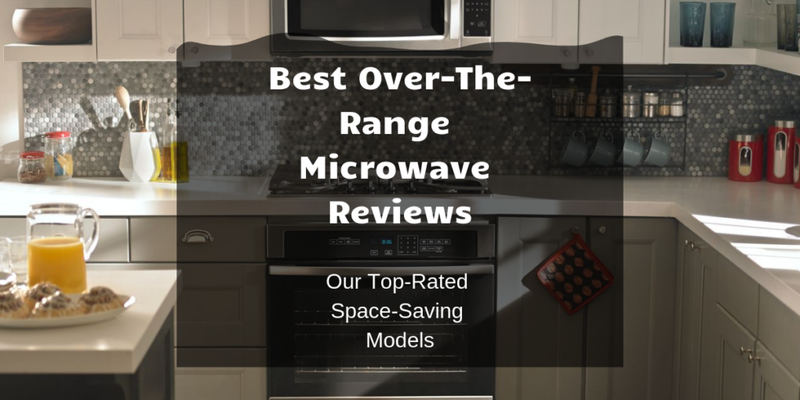 We checked out over-the-range microwave ovens with energy-efficient features, durability, ease-of-use and many other factors. Find out more about our recommendations in this article. An over-the-range microwave has a number of benefits that once you experience, you may never get to live without. Perhaps my favorite thing about over-the-range microwaves is how they can help lessen the clutter in your kitchen. If you are a cook that likes to use a lot of kitchen tools, you’d be surprised as to how much counter space over-the-range microwave ovens can save you. Think about it this way, some microwave ovens take up so much counter space that when you remove them, you can place both a coffee maker and a blender in its place. Another thing that I like about over-the-range microwaves is that they’re harder to reach for children. If you’d like to lessen the occurrences of finding your child stuffing things into the microwave, an over-the-range microwave will certainly help you get the job done. There’s also the fact that over-the-range microwaves don’t come with cords that can just add to the clutter and can sometimes be a cause for minor accidents when other things get tangled in them. You can also save money by simply opting for this 2-in-1 appliance instead of buying a separate microwave oven and range hood. It makes your kitchen look more organized as well. To get the best over-the-range microwave for your home, you should first measure the available space in your kitchen. If you constantly prepare meals for your family or a large group of people, you ought to go for an over-the-range microwave that’s no smaller than 1.2 cubic feet. Over-the-range microwaves in that size can easily accommodate large casserole dishes. Consider the size of your cooking dishes at home. An over-the-range microwave that cannot fit any of the dishes you have certainly won’t do. Another thing you should look out for in over-the-range microwaves are features that can take a lot of time off the whole cooking process. Such features include automatic defrost functions and pre-programmed settings for certain types of food. One modern feature that some over-the-range microwave ovens now come with is a handy sensor that figures out how long your food should be cooked depending on how much steam the food emits during heating. This is a convenient feature that can make cooking a lot easier, which is great if you aren’t really that good of a cook. As for wattage, try and choose a microwave that can be powered with 1000-watts. Such microwaves can cook your food really quickly with minimal energy consumption. Compare energy consumption so you can determine which of these over-the-range microwave ovens won’t cost you a lot of money to run. 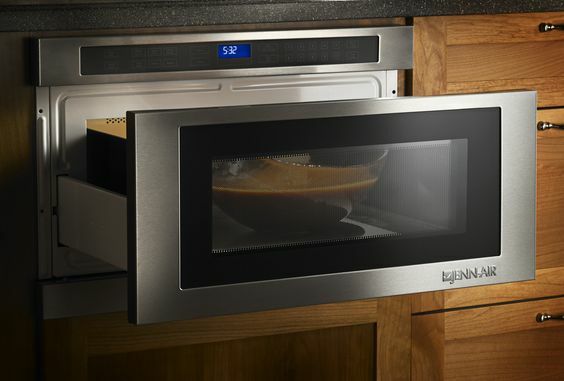 Try to choose an over-the-range microwave that you can easily maneuver. If you’re not into LCD screens and more advanced pieces of technology, then you might as well go with a simple one that has a plain dial. Otherwise, you should go for advanced models that come with all the bells and whistles. Just make sure that you’ll get something that you can enjoy using. If you have stainless steel appliances at home, it makes sense to buy an over-the-range microwave oven that is also stainless steel, so you can have a cohesive look in your kitchen. If you choose one with a different color, it will stick out like a sore thumb amidst all your other kitchen appliances. 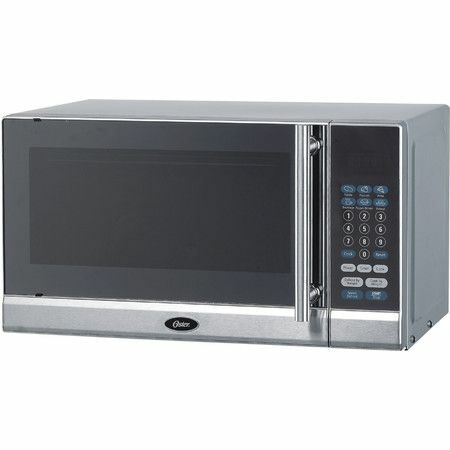 The GE RVM5160DHWW is one of the best over-the-range microwaves that you will find in the market today for a low price. This highly affordable machine is packed with a set of useful functions including pre-programmed defrosting and highly adjustable power level functions that would ensure your food is well-heated. Aside from having a bunch of useful functions, this over the range microwave oven is also very energy efficient since it only runs on 950-watts of power. It can also quickly get rid of smoke and steam from your cooktop. 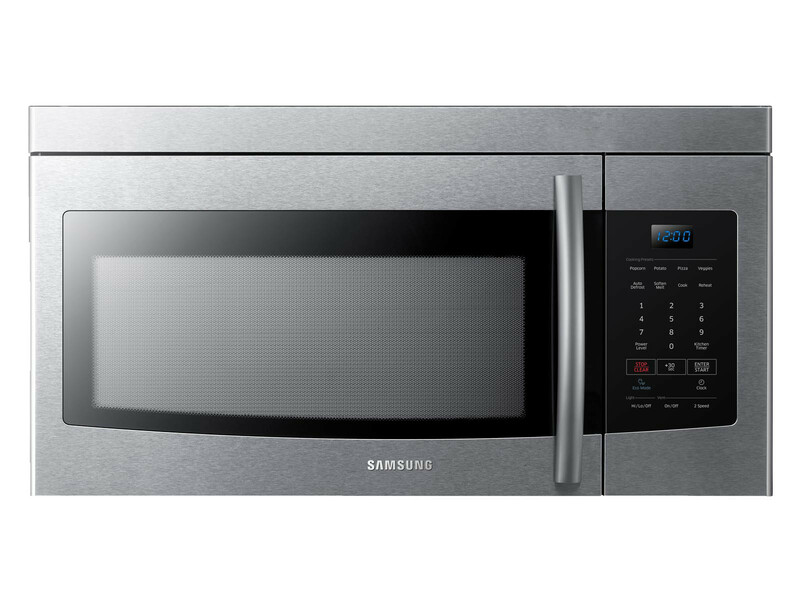 The Samsung ME16K3000AS Over-the-Range Microwave is one large oven that can fit even the largest of your plates because it comes at a size of 1.6 cubic feet. What’s great about this machine is that despite its larger-than-average size, it doesn’t cost much to operate. It’s highly energy efficient since it runs on only a thousand watts of power. Other interesting features of this microwave is that it comes with 10 power levels that you can easily set to ensure any type of food you put in will be completely heated. It also comes with an incandescent cooktop lighting for easy viewing, a rotating turntable, and an automatic defrost function. This sleek-looking microwave oven can easily blend well in modern kitchens. It’s an affordable oven that people on a tight budget will love. But despite its comparatively lower price, it packs a punch when it comes to features. Operating on 1,000 cooking watts of power, this can effectively heat up your food without gobbling up a lot of energy. It also has a competent 400 CFM venting systems that can eliminate smoke and odors from your house. Perhaps one of the things that make this over-the-range microwave stand out from the rest is its sensor cooking. It ensures that you get the right cooking temperature and time. It’s also fairly easy to clean, great for people who don’t like to do a lot of cleaning. 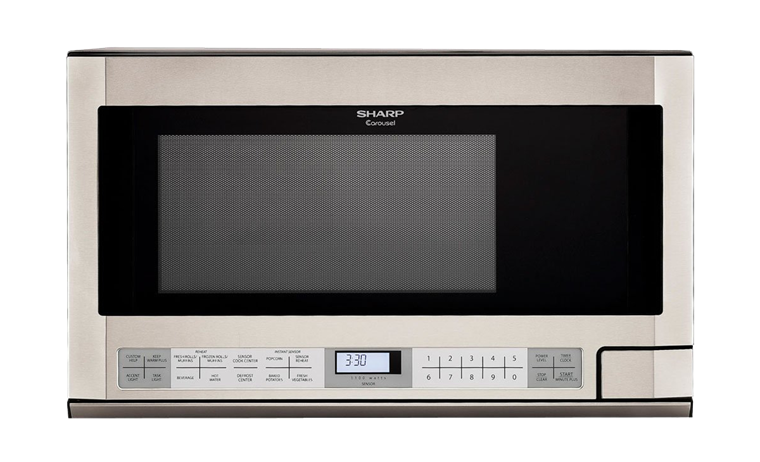 Another reliable over-the-range microwave is the Sharp R-1214 Stainless Over-the-Counter Microwave. This machine is only powered by 1100 watts and can offer you easy and effortless heating with its smart and easy sensor technology. It also comes with an automatic touch control panel fitted in a color lighted LCD display. What’s great about this microwave is that it comes with several handy features such as a minute plus function, keep warm, popcorn, and hot water. It’s also quite large and can fit most casserole dishes. With 1.7 cubic feet of capacity, this black over-the-range oven is versatile enough for a small to medium-sized family’s heating and cooking needs. It features a recessed turntable where there are handles that will make it easier for you to put in bigger plates and bowls. It has all these nifty buttons that you can use to safely and accurately operate the microwave oven. You can also take advantage of its hidden vent, which is a great feature if you like simplicity in your kitchen. You can choose from 2 different fan speed settings, so you can determine the best speed to keep your kitchen ventilated. This one also has a control lock function, so you can avoid accidentally touching the buttons and starting it. We know that even with these options, it can still be difficult to find one that will best fit your needs. Allow us to help you out even further. 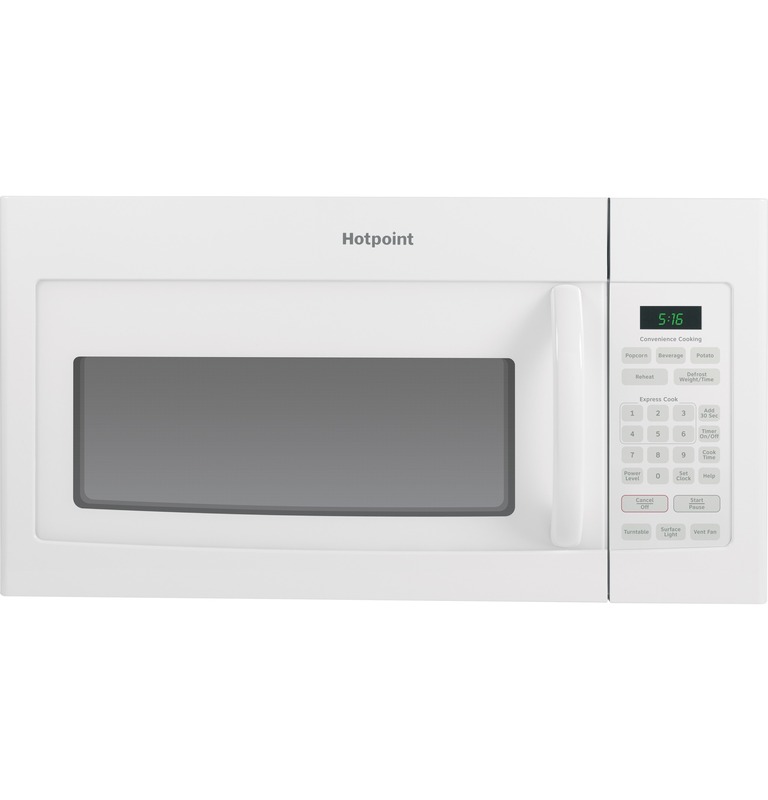 Get the GE RVM5160DHWW Hotpoint Over-the-Range Microwave Oven if you are looking for a trusty white microwave oven that has all the defrosting and heating functions you need. It won’t fail you and is a good fit for those who like white kitchen appliances. If you would like to use your big plates, you should go for the Samsung Stainless Steel Over-the-Range Microwave. It can accommodate bigger plates and bowls so there is no need to transfer your food to smaller microwave-safe ones. This also has a good price tag, not too expensive but not too cheap as well. 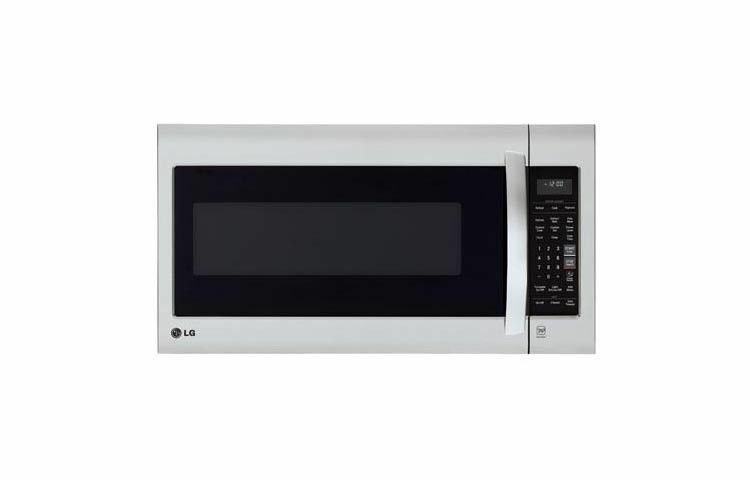 If you have a modern kitchen and you prefer something that looks sleeker, get the LG LMV2031ST Stainless Steel Over-the-Range Microwave. It has a nice finish and the touchpad feels and looks modern. It doesn’t lag behind when it comes to interior space. It can still accommodate large plates and bowls, so you aren’t missing out. If you are looking for something with more features, the Sharp R-1214 1-1/2 Cubic Feet Over-the-Counter Microwave is a great option. The features are modern and impressive. While there are other microwave ovens, Sharp R-1214 1-1/2 Cubic Feet Over-the-Counter Microwave is the best over range microwave that can blend easily and well in contemporary kitchens. It is slightly more expensive than the previous ones, but you are getting your money’s worth as this can last you for a long time. 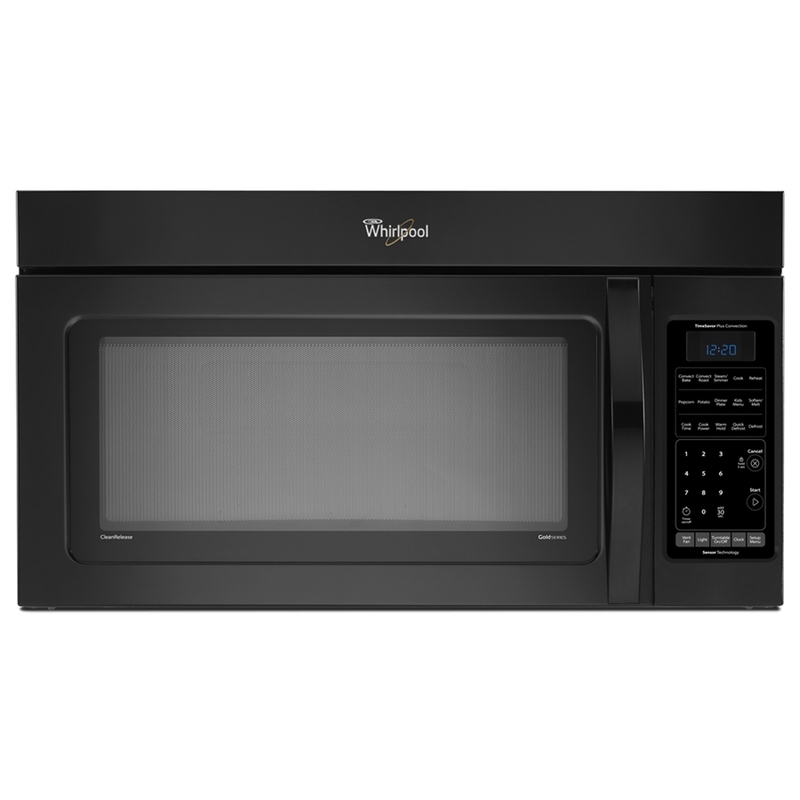 The Whirlpool WMH31017FB 1.7 Cubic Feet Over-the-Range Microwave Oven is also a nice choice for those looking for large interior and doesn’t disappoint when it comes to heating and cooking functions. It is energy-efficient and isn’t too expensive. Whatever you choose, you are bound to be happy with your decision. Just go ahead and click the links of the products you are thinking of getting to learn more about what others are saying about them. If you are completing your kitchen essentials, make sure you visit our homepage. You can find buying guide and product reviews to help you choose the best products, equipment, wares and tools that you can rely on in your kitchen.